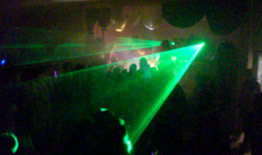 A2B DJs have top of the range laser lights for hire in Cork. They are suitable for all events and venues including nightclubs, teenage discos, 16th Birthdays, 18th Birthdays, 21sts and 30ths. For most private parties a single laser light would be sufficient enough but If you are organising a bigger event and there will be over 100 people attending you might want to look at hiring more laser lights. Our lasers range from 40mw to 1000mw and come in a variety of colours. We have two different types of lasers. Stand alone or fully computer controlled DMX lasers. If renting laser lights from us we would recommend that you hire a smoke machine or haze machine as well to bring out a good effect. 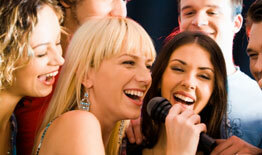 For pricing and availability contact us and we'll help you to choose the laser light that's right for you.